Sixth Avenue Ville is strategically located between Bukit Timah and Holland Road and stones throw from the popular Holland Village. It is directly opposite the Cold Storage supermarket, Coffee Bean and Tea Leaf café, food centers, post office and many other stalls. International schools like the Dutch, German, and Swiss Schools are also nearby. 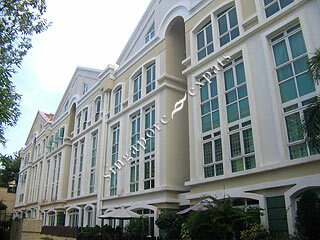 excellant exclusive neighbourhood yet superb convenient/accessible with aplenty of ammenties. Rare to find expat neighbourdhood with mrt/bus stops/aplenty of ammenties just stone throw away.